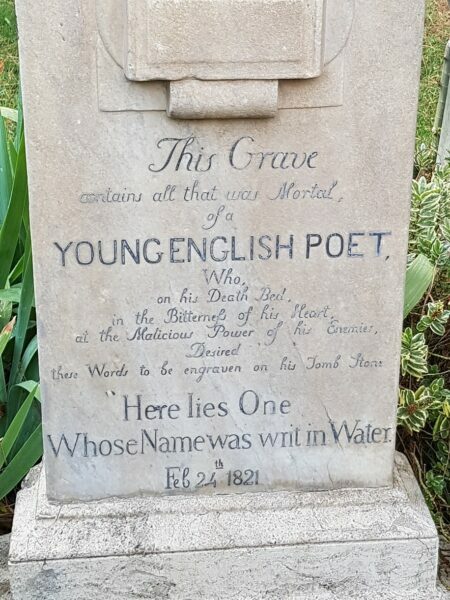 There is a degree of scholarly consensus around the notion that John Keats had his first book of poems – Poems 1817 – published ‘on commission’. 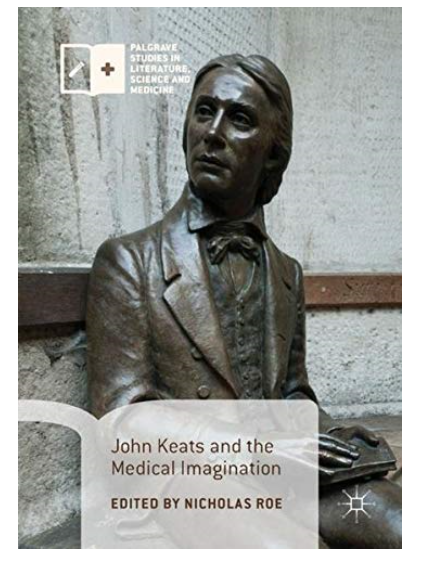 In today’s terms we would say the book was self-published, that Keats personally paid for all of the work involved in its production and marketing. 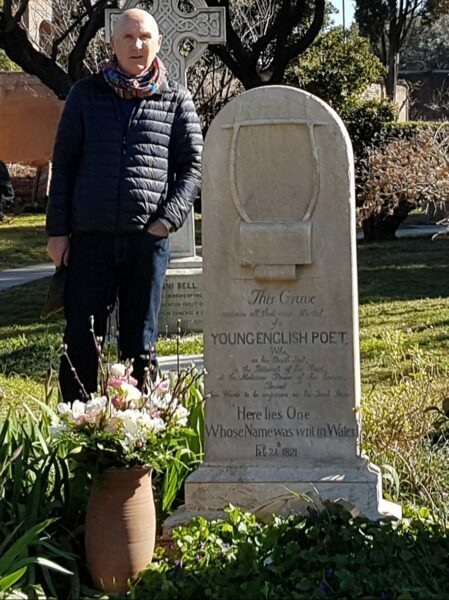 Keats was, of course, destined to become one of our very greatest writers so we may wonder why he did not attract a ‘conventional’ publishing contract, and what exactly was the process of publishing on commission. In early 1817, in London, a former bank clerk called Charles Ollier and his younger brother, James, started a new venture trading as retail booksellers and publishers at 3 Welbeck Street, close to the wealthy residents of Cavendish Square and Portman Square. 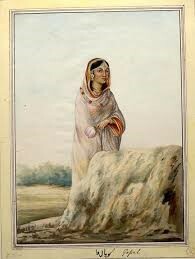 They also had a circulating library that charged for the loan of books by means of an annual subscription. Ollier had been a friend of the celebrated editor, poet and political agitator Leigh Hunt since 1810, after sending Hunt a theatrical review for one of his newspapers. By early 1817 Leigh Hunt lived in a modest (but elaborately furnished) cottage in the Vale of Health on Hampstead Heath and was the head of a literary set that met there on a regular basis. Despite their veneer of residential respectability in Welbeck Street (their neighbours included a pianoforte manufacturer and a surgeon), the Ollier brothers were short of capital to invest in their business, but what they did have was their valuable connection to the Hunt circle. 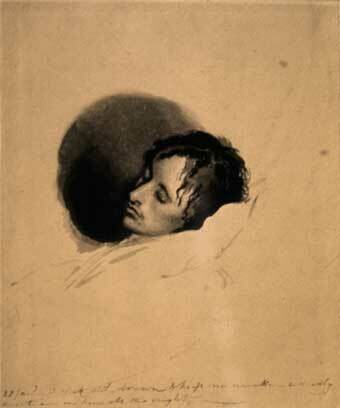 An early client was Hunt’s wealthy friend Percy Bysshe Shelley. He set up an account to buy books for the library of a house he had just taken in Marlow, Buckinghamshire (the library was large and furnished with classical statues) and requested that the Olliers forward his letters to his various friends and contacts in London – for these services the Olliers were paid on account. In return, the Olliers would have Shelley’s works printed, at Shelley’s own cost, by the printer Carew Henry Reynell at 21 Piccadilly. Shelley’s first publication was a pamphlet that he wanted distributed to newspapers and Members of Parliament. 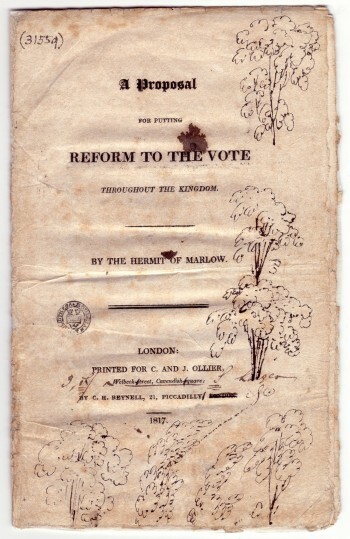 It was called A Proposal for Putting Reform to the Vote ‘By the Hermit of Marlow’ and it sold for one shilling. But why would Shelley choose the Olliers for the publication of his pamphlet when they could not even afford the cost of printing it, let alone the cost of acquiring its copyright? 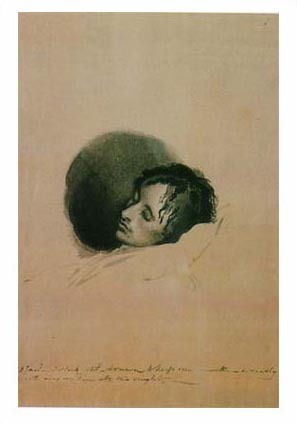 Quite simply, Shelley was an unknown author at this time and, considering his potential audience, the ‘C & J Ollier’ imprint gave his writing a degree of credibility that it would otherwise lack. As the months passed, the Olliers’ business attracted more of Hunt’s literary friends and acquaintances. They were in discussions with the journalist and essayist William Hazlitt, for example, about publishing his new book, The Characters of Shakespeare’s Plays. This was also printed by Reynell in Piccadilly and it eventually became a best seller. 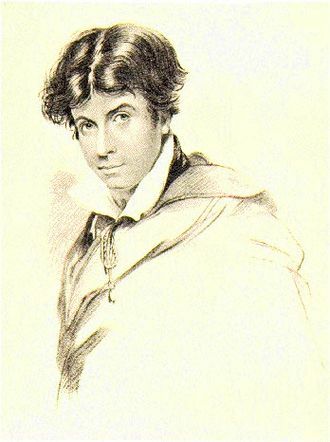 Charles Ollier was aware that Leigh Hunt had publicly endorsed John Keats as one of a promising new generation of poets so when it became known that Keats was seeking a publisher for his first volume of poetry, Hunt’s influence once more came to the fore and a deal was struck with the Olliers. 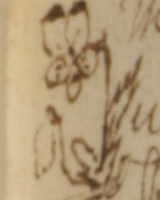 As had been the case with Shelley, Keats would have to pay the production costs of the book himself. The total was to be around £25, half the annual wages of a porter at the Royal Academy according to one contemporary report and a very large sum for Keats to risk on a speculative publishing venture. 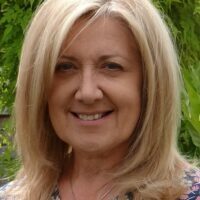 The Olliers would provide their imprint and then advertise and sell the book through their shop in Welbeck Street, taking 10% commission on all sales as payment. Keats needed to employ a printer, and a young man called Charles Richards was approached. He was the brother of Thomas Richards, another friend of Leigh Hunt with whom Keats had recently spent an evening (a ‘whoreson a Night’ according to Keats, possibly referring to the atrocious weather at the time). Whether this was the occasion that Charles Richards was chosen is not known but he, too, had only recently set up in business. His printing workshop was at 18 Warwick Street, Golden Square. It was another respectable business address; his neighbours included a solicitor, an apothecary and a saddler. In 1817, the typesetting, inking, pressing, drying, folding, stitching and binding of the pages in books were all done by experienced craftsmen, and all done by hand in a protracted and expensive process that had changed little for centuries. The manufacture of paper was more mechanised, but paper was likewise expensive – and watermarked – because it was heavily taxed. 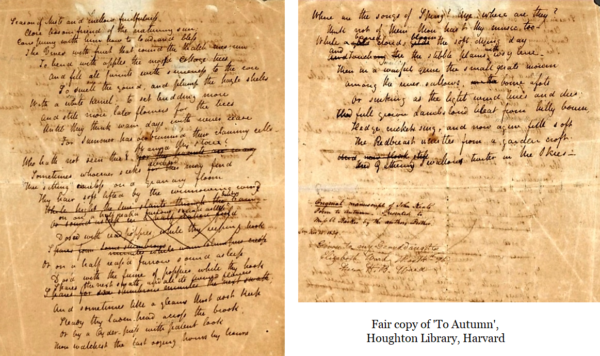 The paper that Charles Richards chose (and Keats ultimately purchased) for Poems 1817 bears the watermark ‘John Dickinson 1813’. Dickinson was an early industrialist and inventor with several paper mills in Hertfordshire. Though it was made from rags, mass-produced in a water-powered mill and sold in bulk (taxation rules prevented paper being supplied in less than half a ream, or approximately 250 sheets), his paper was of surprisingly good quality. 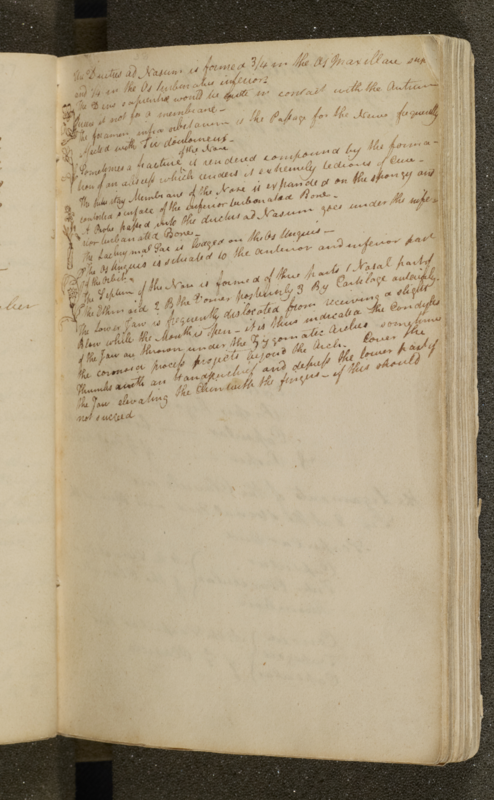 Today, two hundred and six years after leaving one of Dickinson’s mills, the paper in a copy of Poems 1817 in the British Library is clean and fresh-looking. Printing was done on heavy wooden presses that had changed little since Johannes Gutenberg began working with moveable type in fifteenth-century Strasbourg – indeed, the presses still owed a lot to the forerunners of the Gutenberg press, the wine and olive presses of the Roman Empire. The recently-introduced ‘Stanhope Printer’ – a weighty, cast iron contraption invented around 1800 by the 3rd Earl of Stanhope – could produce several hundred pages an hour but its cost was beyond the means of most small printers. It is not known from where Charles Richards sourced his printing ink, but he had a choice of several local suppliers – Richard Bell at 25 Brunswick Street, for example, or Blackwell & Colvin at 11 King Street. Keats at this time lived with his brothers in lodgings in Cheapside near to the famous Bow Bells of St Mary-le-Bow. The Olliers’ office in Welbeck Street was a good half hour’s walk away and Charles Richards’ printing workshop in Warwick Street was a half hour’s walk beyond that, but there’s little doubt that Keats would have visited both to discuss his book and follow its progress through the press. 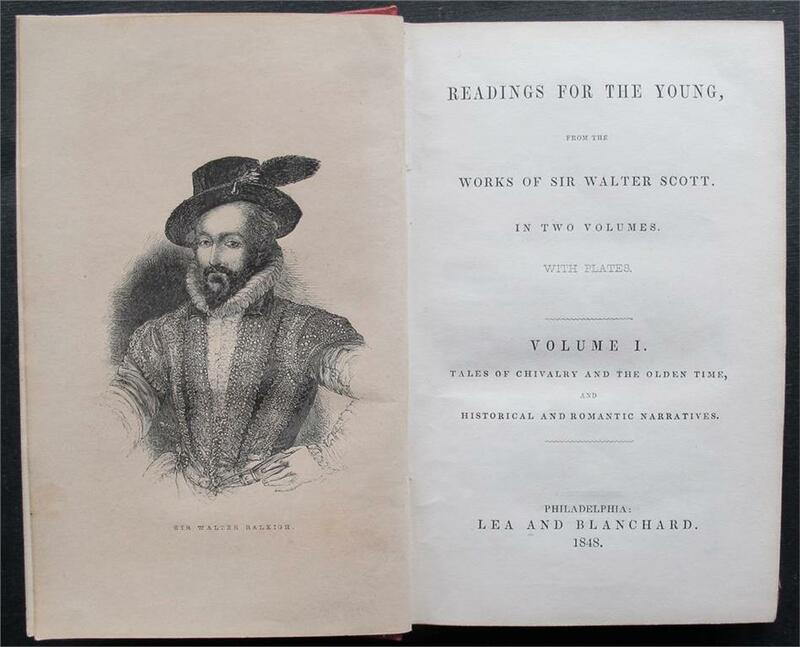 Unfortunately, Charles Richards appears to have lacked experience in the printing of poetry – the little volume was, in fact, produced amateurishly. We know that Keats requested changes to the book as it was actually being typeset (not uncommon during the era of printing by hand) and that the changes were somewhat ineptly carried out. 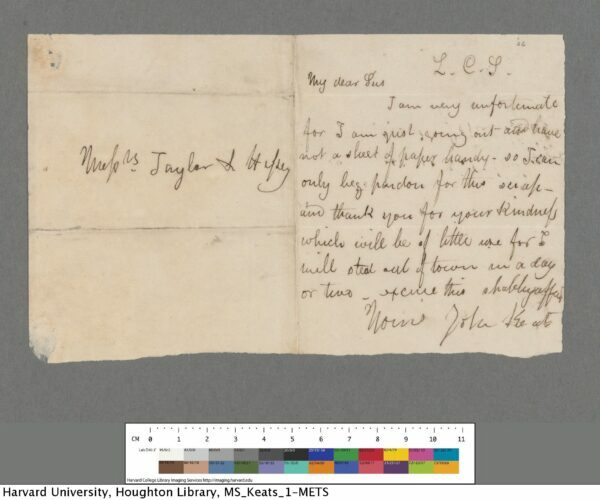 To give just one of many examples, Keats decided to insert a dedication to Leigh Hunt very late in the process (during a gathering of friends at his Cheapside lodgings). The request was transmitted to Charles Richards and the book duly appeared with the dedication, but without a contents page. 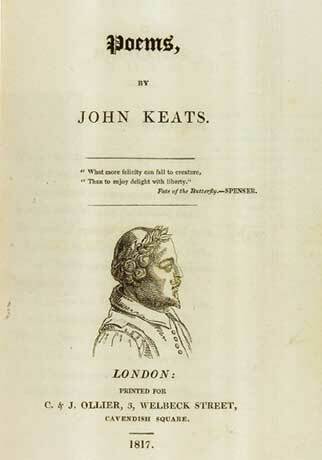 As the publication date of his book approached, Keats must have been both excited and nervous – he knew it was going to be a thin little volume with some fine poems in it (On First Looking into Chapman’s Homer had been highly praised by Leigh Hunt and others) but he also knew that some of the poems were among his very earliest (Imitation of Spenser, On Receiving a Curious Shell) and might appear somewhat juvenile. That wasn’t all. To My Brothers, written on his brother Tom Keats’ birthday, was undoubtedly sentimental and a poem called Great Spirits Now On Earth are Sojourning, written for a new friend he had met at Leigh Hunt’s cottage, the ever-controversial painter, diarist and essayist, Benjamin Robert Haydon, could well be taken as sycophantic. The book, to be printed ‘in boards’, a common and cheap covering, had a selling price of six shillings (at the time of writing, you can buy a copy from a reputable London bookseller for £47,500). 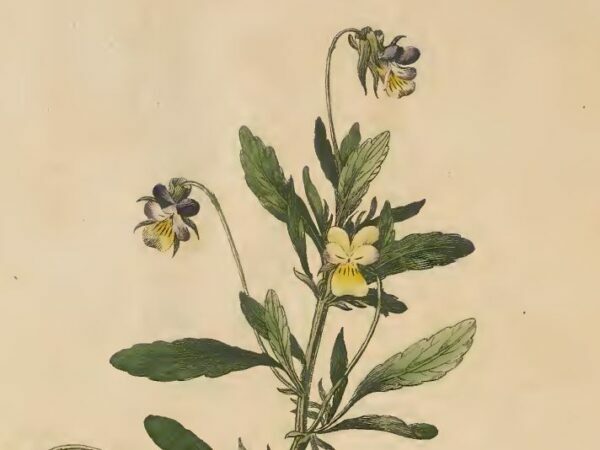 It is not known exactly how many copies were planned but the initial run was likely to be around 250 copies with further editions to be printed if demand were sufficient. Keats knew that if the book was a failure, he would find it very difficult to justify his considerable financial outlay. Unlike Shelley, he could not afford to lose such a sum, so any further publication ‘on commission’ would be out of the question. 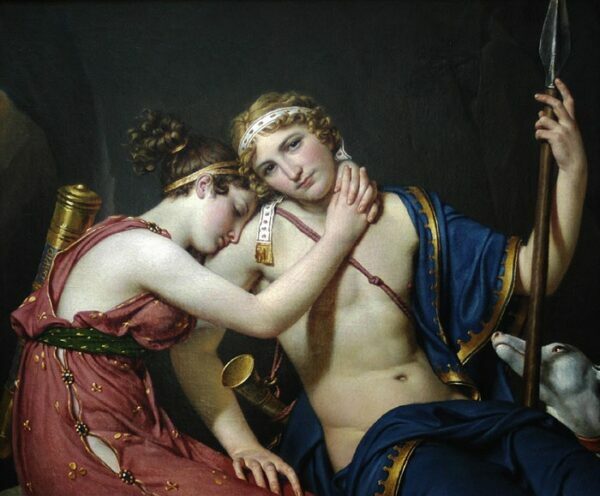 It was fortunate for Keats that a devoted friend, the poet and journalist John Hamilton Reynolds, after writing a glowing review of Poems 1817, did not lose faith in him. Reynolds arranged for his own publisher to publish Keats’ next book and even to provide a little financial assistance to Keats. The publisher was called John Taylor and he was the son of a Nottinghamshire printer and bookseller. He was a refined and forward-thinking man who in 1817 was in partnership with James Hessey at their office, 93 Fleet Street (a street which, even then, had a long history of publishing and printing). 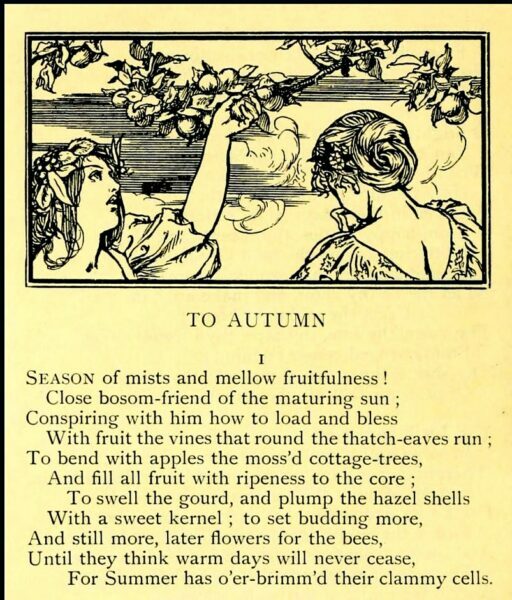 Keats’ second book, the beautiful if very long poem, Endymion, was published in 1818 under the Taylor and Hessey imprint and though its 4000 lines are little read today, its first line, ‘A thing of beauty is a joy forever’, is known to almost everyone. 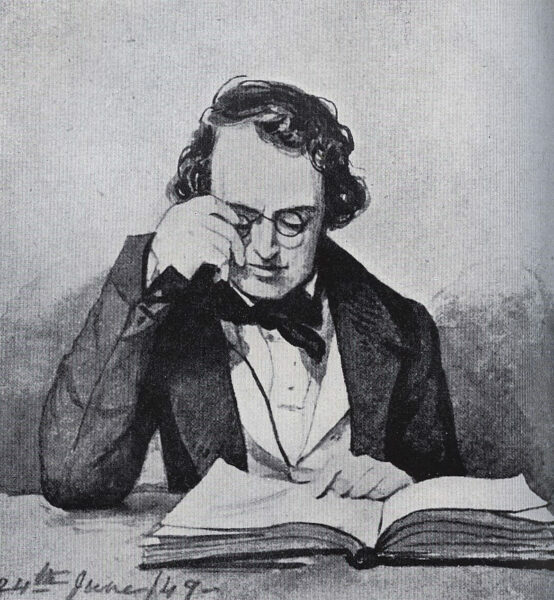 During a long and distinguished career, John Taylor published such luminaries as Lamb, Coleridge and Hazlitt but, unlike Charles and James Ollier, he never regretted his decision to publish Keats. 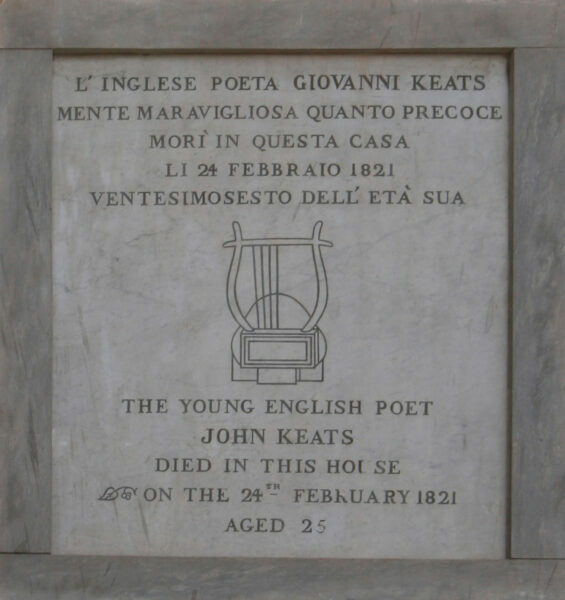 On the 5th December, 1818 he wrote that Keats was a genius whose gifts will make him ‘the brightest ornament of this Age’. 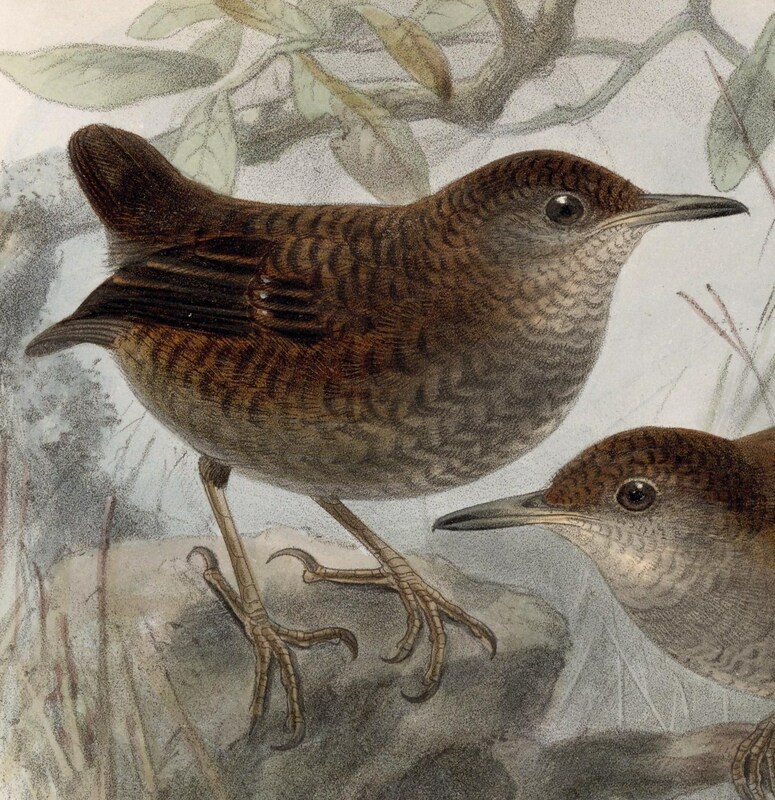 The author extends his thanks to Mr John Boneham of the British Library’s Rare Books and Music Reading Room for his valuable assistance with the research for this article. Colin Silver lived for many years near the Lake District. He developed a deep interest in the life and work of the great 19th century art critic John Ruskin whose house overlooked Coniston Water. Following Ruskin, Colin developed a love of the work of the Pre-Raphaelites and the Romantics, particularly Keats and Shelley. 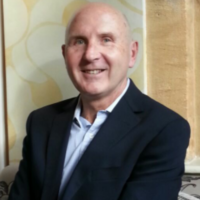 When he moved to Oxfordshire, Colin continued his studies and began writing articles on a freelance basis for the Oxford Times’ Limited Edition magazine. 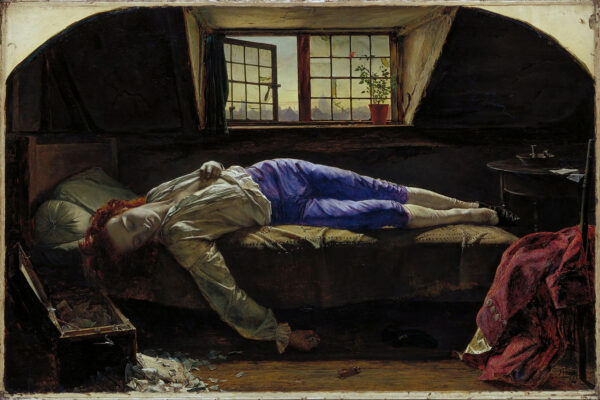 His subjects included Keats, Shelley, Ruskin, the Pre-Raphaelites, Shakespeare and the celebrated 19th century physician Henry Acland. 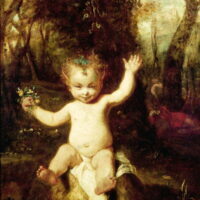 His first book, John Keats and Benjamin Robert Haydon: The Pursuit of Beauty of Truth is available from Amazon.